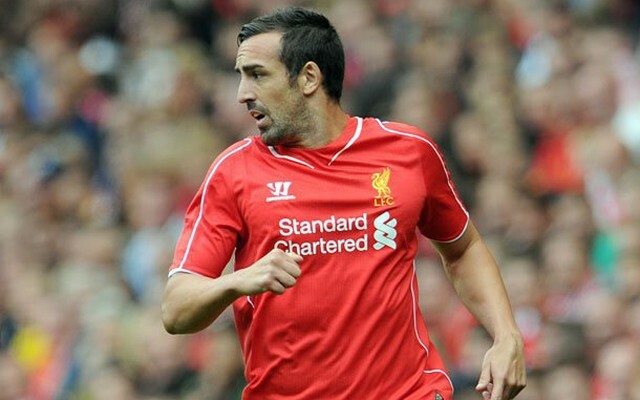 Jose Enrique looked set for an Anfield exit this summer (via the Daily Mail), hardly surprising given his lack of football recently. But he looks set to remain at the club this season, and has vowed to fight for his place in the squad, as reported by the Daily Mail. The 29-year-old is clearly surplus to requirements, but will be with us at the very least until January. The report claims he has been forced to train alone recently, but will surely be hoping to put an end to that moving forward. A move to West Bromwich Albion was touted, and it seemed a deadline day move was a possibility (via the Mail). He insists that there was never an offer on the table however, and claims he is willing to stay and fight for a first team spot. “Just to let you all know that it wasn’t any offer from West Brom for me. I’m happy to stay and fight for my place,” he said, as quoted by the Daily Mail. Just to show how serious he is about it, the Spaniard has deleted his Twitter and Instagram accounts to focus on his football. He is known for his social media presence, so it will certainly be strange to see an Enrique-less internet. “I thought it was good to share with the fans pictures but I think they have been killing me for that,” he wrote (via the Daily Mail). It seems more than likely that Enrique will watch from the sidelines while picking up his paycheck this season, but if he proves he’s capable of doing more than that then more power to him.